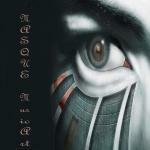 With elegant and avant-garde compositions, MASQUE MusicArt repertoire creates unique musical experiences for the listeners. Every MASQUE MusicArt piece tends to be different experience from another, yet they all carry the same trademarks of memorable melodic and haunting tunes. The Creator of the elegant multi-genre, "MusicArt".